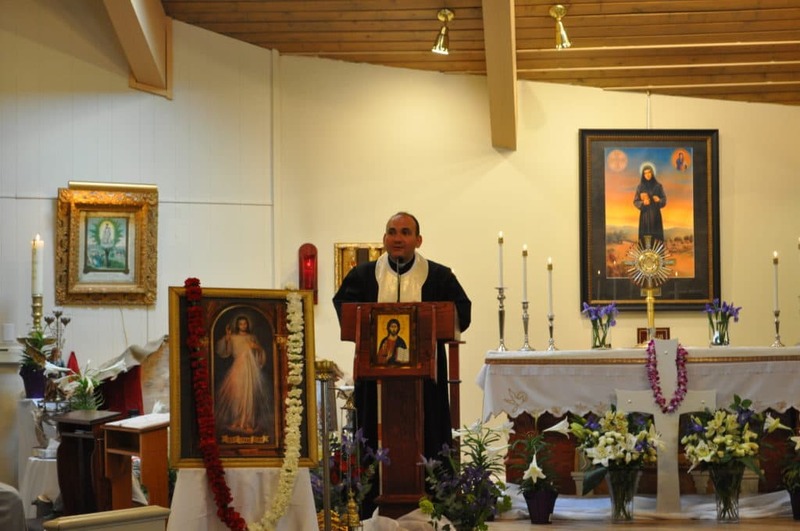 On April 23, Divine Mercy Sunday, hundreds of people turned out at St. Rafka Maronite Catholic Church for a celebration that offered the chance to earn a plenary indulgence and to be inspired by religious leaders to share Christ’s mercy with others. 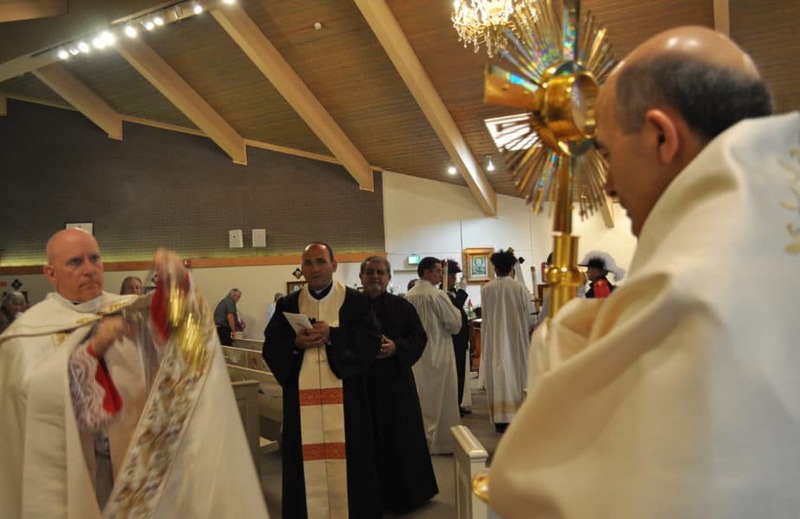 The day included the opening and closing of a Holy Door at the Lakewood church, and a Divine Liturgy (Mass) celebrated by Maronite Bishop Elias Zaidan and concelebrated by St. Rafka pastor Maronite Father Andre Mahanna, who founded and heads an apostolate to aid persecuted Christians. Archbishop Samuel Aquila delivered a message on Divine Mercy. To help people earn the indulgence (remission of punishment due for sin), the sacrament of reconciliation, Eucharistic adoration, and veneration of the Divine Mercy image were available. The iconic image with the words “Jesus, I trust in you,” shows the risen Christ giving a blessing while rays of light (red for Eucharist, white for baptism and reconciliation) stream from his breast. 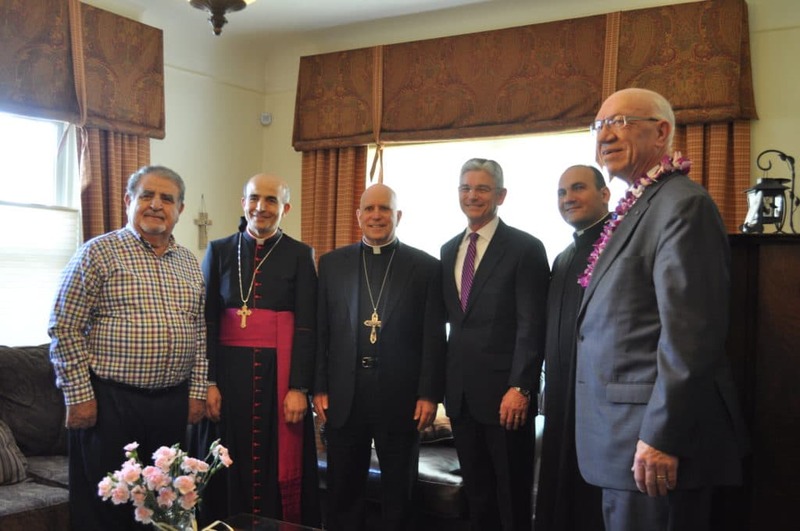 Other events included a brunch with ecumenical leaders that featured multicultural entertainment, including Jewish, Indian and Samoan dancing and music, and an inter-Christian dialogue that focused on helping persecuted Christians in the Middle East. 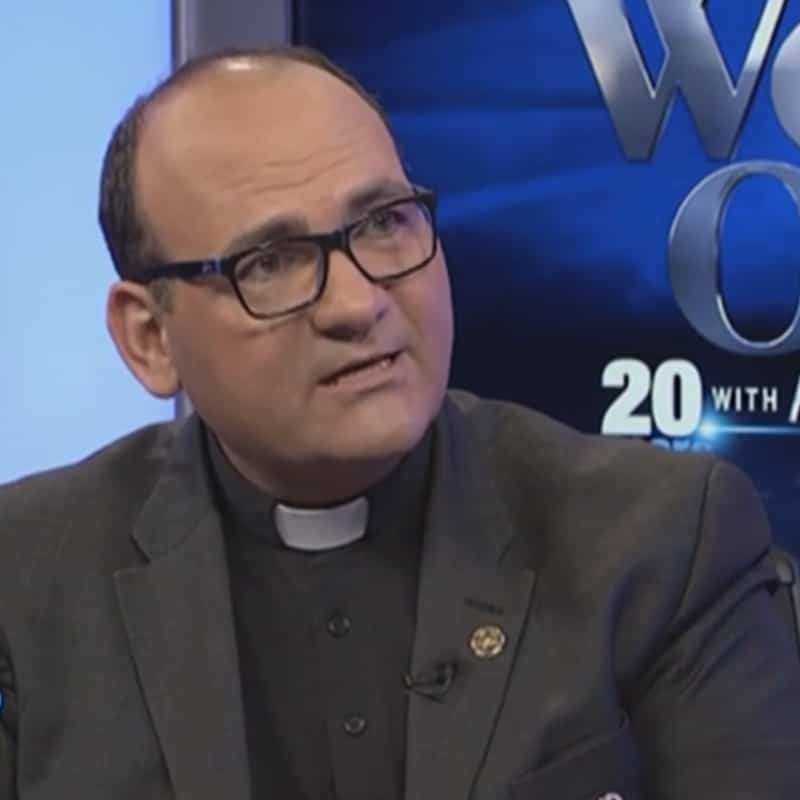 “The 2016 Open Doors report on persecution found that 215 million Christians experienced hostilities of some form over the past year,” Archbishop Aquila told the congregation. “Sadly, one only needs to look to the recent Palm Sunday bombings in Egypt that were claimed by ISIS to see the flesh and blood reality of the suffering Church: 49 dead and 78 injured. Christ’s passion, death and resurrection show that submission to and trust in God’s will and goodness yields eternal victory, the archbishop said. In the year 2000 St. John Paul II designated the Sunday after Easter as Divine Mercy Sunday and canonized Sister Faustina Kowalska. The Polish nun had died in 1938 and is called the Apostle of God’s Mercy as it was through her writings the message and devotion to Jesus as “The Divine Mercy” came to be known. The inter-Christian dialogue, which in addition to the bishops and Father Mahanna, included representatives of the Church of Jesus Christ of Latter-Day Saints, a Syriac Orthodox deacon, and evangelical laymen who work to educate and empower inner-city youths and families, discussed past and current collaborative works of charity and mercy to help victimized Christians in the Middle East and urban needy in the United States. The Maronite Church is Eastern Catholic and in communion with the pope. It traces its roots to the Apostles’ visits to Antioch where followers of Christ were first called Christians (Acts 11:26). The Maronite patriarch (senior religious leader under the pope) is in Lebanon. Father Mahanna wrapped up the discussion with a call to action.